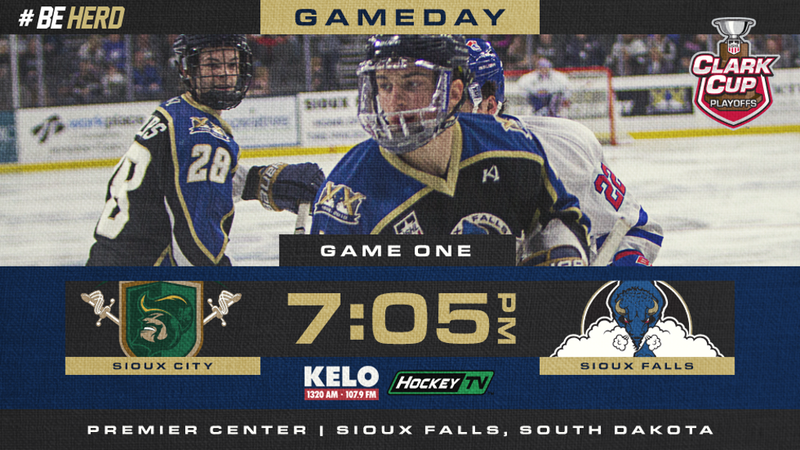 TONIGHT’S GAME: The Stampede opener their best-of-three first round series against the Sioux City Musketeers. Tonight marks the first time since the 2014-15 season that these two rivals have met in the postseason. Sioux Falls upset the #1 seeded Musketeers that year in five games on their way to their second Clark Cup title. The Stampede went 7-0-1 against the Musketeers during the regular season this year. PRE-GAME PARTY: Stop by the Birdcage before the game from 5-6:30 PM for inflatables and lawn games while mingling with members of Stampede Country before heading over to the game. The Stampede enter the playoffs having won five of their last six games and going 7-3-0 over their last 10 games. The Herd went 3-6-0 during the month of November, but finished the season going 31-9-5, one of the best records in all of the USHL. UP NEXT: Game 2 of this best-of-three series is back at the PREMIER Center Wednesday night at 7:05 PM. Tickets are on sale now through the PREMIER Center or Ticketmaster. Should their be a game 3, it would take place on Thursday and tickets for that game will go on sale immediately following Game 2 on Wednesday night.